Maria Mendoza made $30 a week. She worked 14-hour days to help feed her husband, Sergio, and their five children. 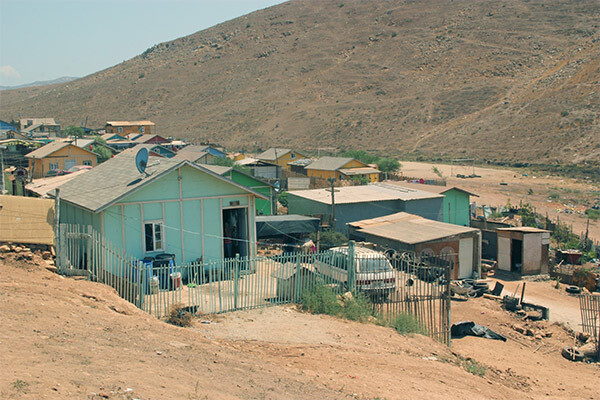 Life was hard for the Mendoza family in Durango, Mexico. It was almost impossible to find any job, let alone one that paid a living wage. They made the difficult decision to leave their relatives and the place they called home in search of something better. 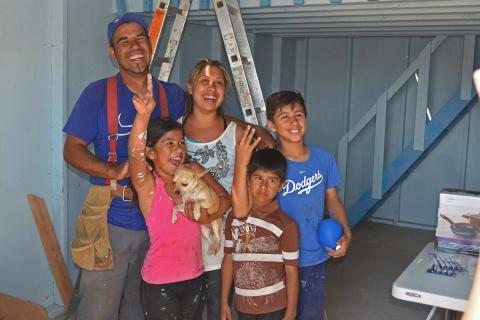 Maria and Sergio moved their family to Tijuana,close to the border with the USA, where they heard they could find jobs that might pay higher wages. 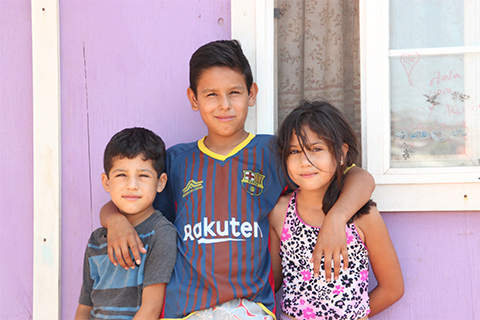 When they arrived, they were surprised by the higher cost of living in Tijuana. They quickly realized they couldn’t afford to rent an apartment and settled in a makeshift community on the edge of town. They had nothing but a small, uneven plot of land and their truck. 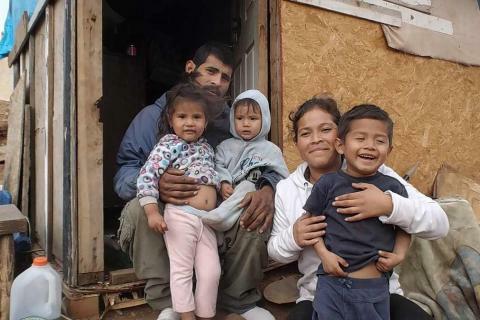 The family of seven lived in the truck for 15 days while they built their home out of old garage doors and tarps. “We suffered a lot to come here,” said Maria. Her husband found work in a factory making 1200 pesos a week,about $60. 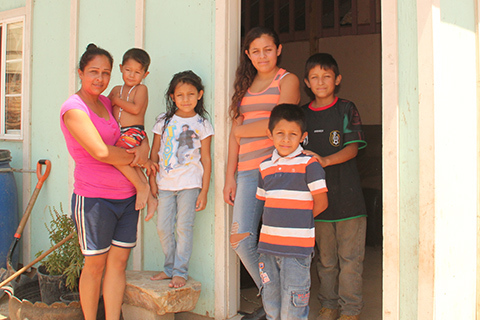 Maria stayed home to care for her children: Gabriela, age 10, Sergio Leonardo, age 8, Jose, age 6, Stephany, age 4, and baby David, age 16 months. In January of 2017, their prayers were answered. 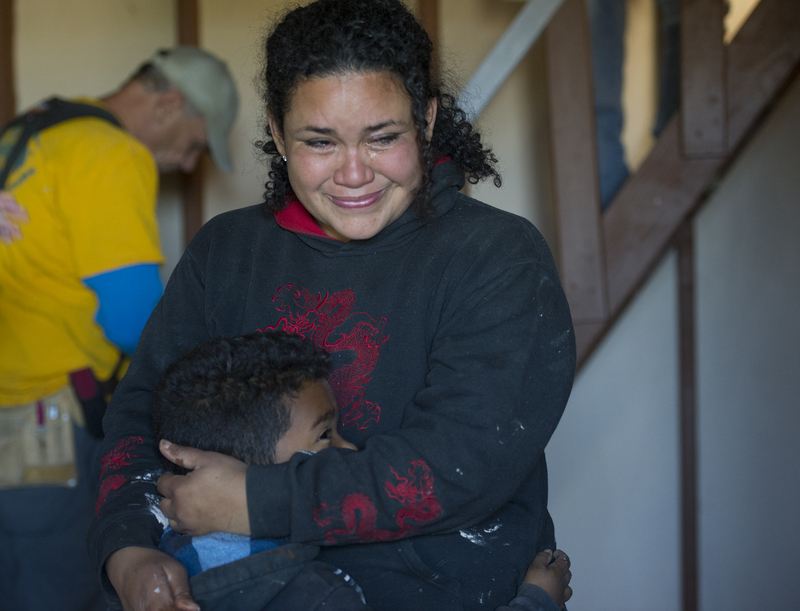 IRT volunteers built Maria, Sergio and their family a home. 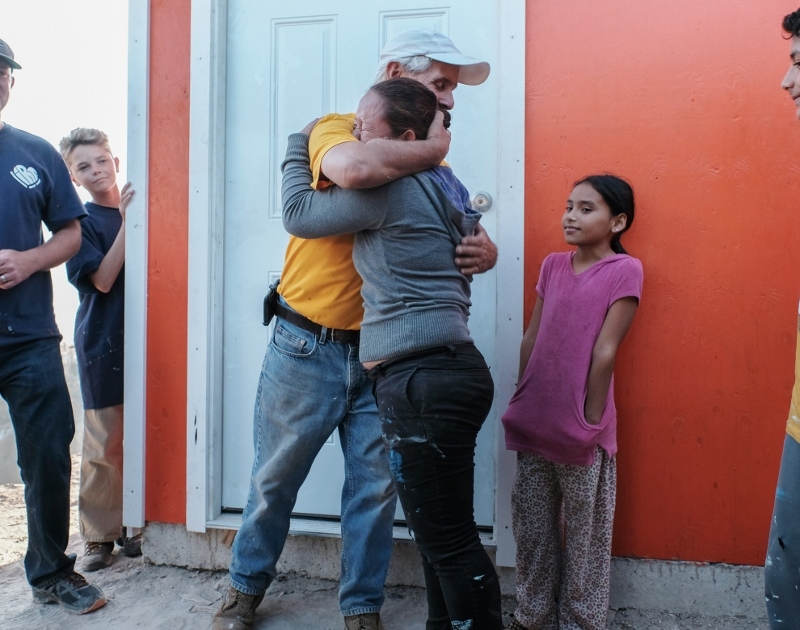 “I cried with gratitude the day I found out we were getting a house,” said Maria. 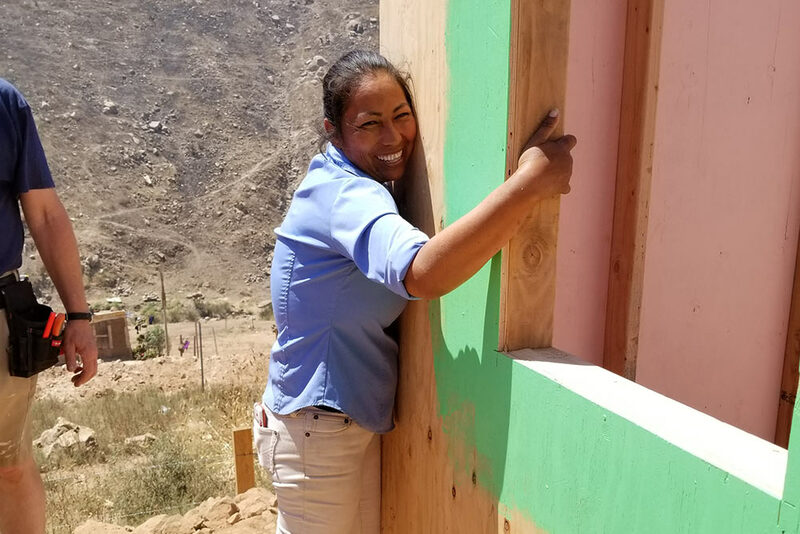 After two years, we checked in on Maria and her family to see how they were doing in their home. Maria says the house has improved their lives significantly. Each child has their own bed and quiet place to sleep and study. They have a latrine. They are clean and comfortable. 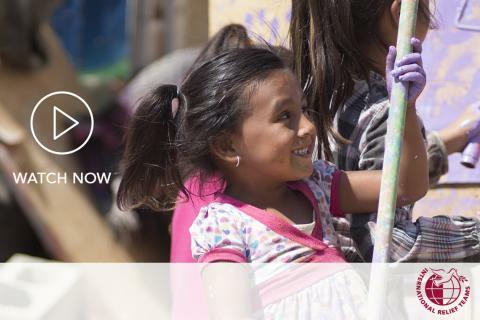 “It’s not a lot, but it’s more than I ever had before,” said Maria. Maria has so much pride in owning her own home. She spends a lot of time making sure that things are clean and organized. 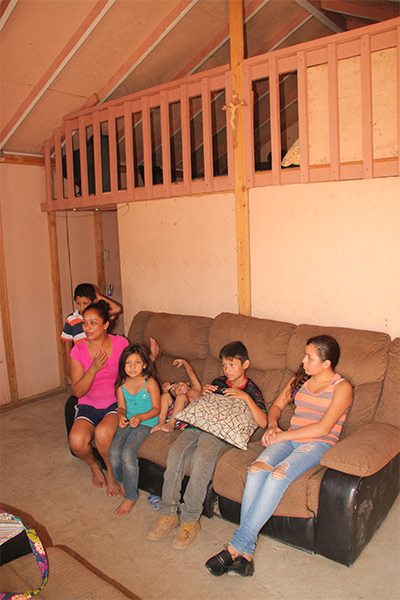 Maria and her five children sit in the living room underneath the loft, where her two daughters sleep at night. 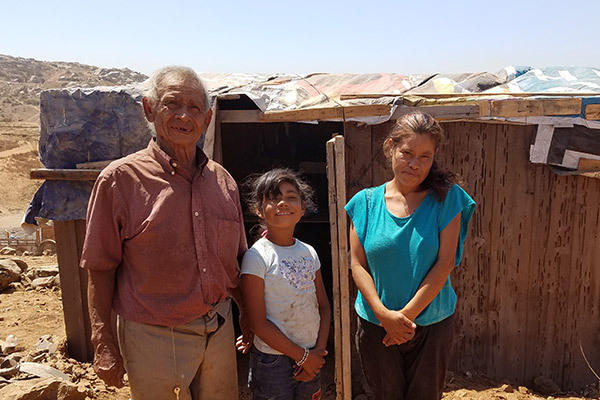 Life is better for the Mendoza family, but they still face many challenges. 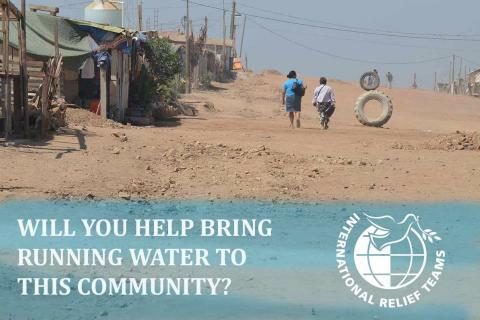 They rely on some financial support from their family members who live close by. But Maria says she loves living in this community. She says providing her children with an education is her top priority, and having a safe and clean house for them to study is key. Maria has a lot of hope for the future. She has a dream to open a little store in front of her house and sell cheese that she makes herself. This will allow her to finally start saving money. She says having savings will ensure all of her children can stay in school. She believes an education is the most direct path out of poverty. “I love my house. I love the light blue color. No other house in the community is like it. It’s unique, just like me,” said Maria.